To celebrate it's 80th anniversary Filatura di Crosa has introduced a limited edition (a total of 300 bags are available world wide) leather bag. We're calling it the Butterfly Bag. This stunning cream and black bag is as versatile as it is beautiful. It has long dark tan leather handles and a long dark tan removable leather shoulder strap. All of the fittings are brass. 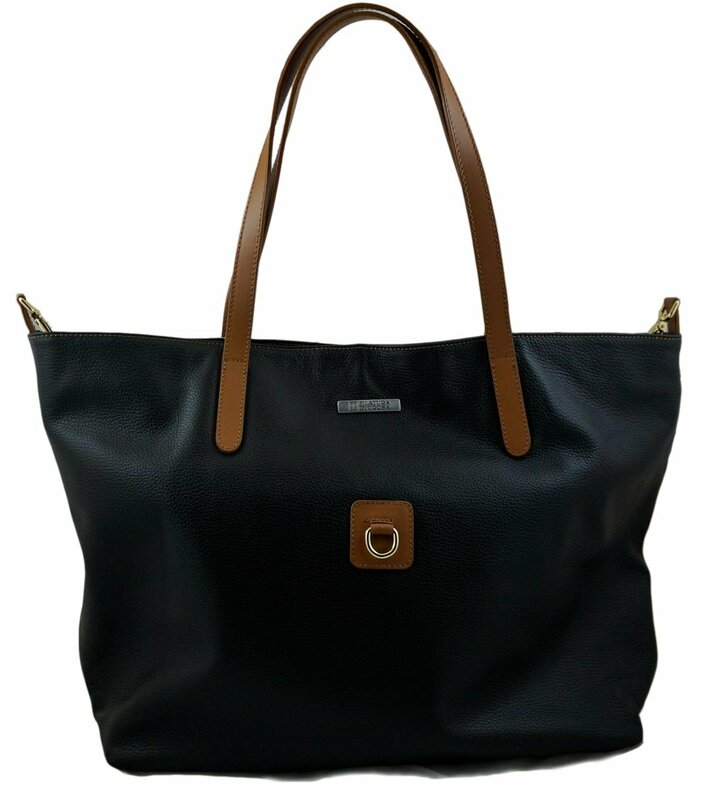 The bag has a small and a large interior pocket as well as an extra large zippered pocket. This Butterfly Bag has exceptional functionality for all your fiber arts needs and it is stylish enough to carry when you want to make a fashion statement. When these 300 sell there will be no more. SHEEP THRILLS has the largest stock of Butterfly bags in the world.